Discussion in 'Yanks Abroad' started by Dave Marino-Nachison, Feb 20, 2014. Certainly keeps them in mid table hunt, but still out of the 8. Bad for Ajax. 3 pts and they stayed tied with PSV on points... Slip 2 pts. behind now. Ajax was lucky that their goalie face to face after brake out by H'veen blocked the shot that would have ended their title dreams and the win for H'veen. edcrocker, Tom Collingsworth, freisland and 2 others repped this. Tom Collingsworth, freisland, autobus39 and 1 other person repped this. Ajax received a mental uppercut in the 4-4 match, judging by the players reaction after the match, realizing they wasted the grand opportunity to catch up PSV. Hope Kik gives them a knock out this evening that makes them dizzy for a while. Has nothing to do with the fact Feyenoord receives Ajax coming sunday in "de Kuip" for the league "Klassieker". Too late for your club, my good friend... you should be rooting for Ajax to do the dirty to PSV as we all hate the lightbulbs, as it should be. Kik is getting too much press this season. Wonder how long 'Veen holds on to him. Winning cup matches against Ajax isnot something H'veen ever accomplished, but for everything there's a first time (please, please). After this sunday's match they're brimming with self confidence. It's going to be minus 14 Celsius the coming days in Friesland. That strange sound you hear are the tens of thousands skate blades being sharpened. And Ljouwert/Leeuwarden has agreed that SC Cambuur gets a new stadium. Auntie will be pleased. UniversalAdvice, freisland and m vann repped this. Same team for H'veen as the 4-4 match. Demmit. already after just two minutes goal for Ajax. Ajax sabotaged the VAR so the match was without the allseeing eye, otherwise the 2nd goal could never been allowed. Te defender was definitely beeing wacked in the back. It was unfortunate H'veen missed the penalty late in the match, as it could've given Ajax a scare. Two matches in a row of which one was of high intensity is a bridge too far for H'veen. It was very noticable in the midfield that was unable to keep Ajax in check and thus putting alot of pressure on the defense. The first goal was too much of a not alert yet. PhillyFury and freisland repped this. Going to be an interesting test for Kik against AZ. After more than a year out recovering from a terrible injury AZ attacker Stengs the last two matches showed why we were over the moon with his talent and depressed by his awful injury over a year ago. Remarkable too and for the H'veen defense a worry is that AZ has the most different number of scorers (14) of the Eredivisie. AZ pakte in de laatste tien uitduels in de eredivisie met Heerenveen meer punten dan de Friezen (16 - W5, G1, V4). Sterker nog: de Alkmaarders wonnen de laatste twee ontmoetingen in Heerenveen ( beide 1-2). Om te winnen kun je beter niet het eerste doelpunt maken, want in de laatste drie ontmoetingen verloor het team dat de openingsgoal maakte. Als toeschouwer kun je beter lang op je stoel blijven zitten, want in de laatste drie wedstrijden werden zeven van de twaalf doelpunten in de laatste twintig minuten gemaakt. Als AZ zondagmiddag scoort, is de kans is groot dat de goals door verschillende spelers worden gemaakt, want dit seizoen kent AZ demeeste verschillende doelpuntenmakers (14). AZ scored more points in the last ten matches in the Dutch league with Heerenveen than the Frisians (16 - W5, G1, V4). In fact, the Alkmaarders won the last two meetings in Heerenveen (both 1-2). To win you better not make the first goal, because in the last three meetings the team lost the opening goal. As a spectator, you better sit on your chair for a long time, because in the last three games seven out of twelve goals were made in the last twenty minutes. If AZ scores Sunday afternoon, chances are that the goals will be made by different players, because this season AZ has the most different goal scorers (14). De hype rond Kik Pierie leek de afgelopen maanden wat te zijn afgezwakt, maar nu hij centraal achterin speelt, is de belangstelling ook weer terug. FOX Sports-analisten Kenneth Perez en Kees Kwakman zagen de 18-jarige jeugdinternational uitblinken tegen Ajax..
"Pierie is achttien jaar en is al bezig met het neerzetten van andere mensen op het veld. Dat vind ik goed", begint Perez enthousiast. "Achttien jaar oud! Het is natuurlijk makkelijk om mensen neer te zetten, maar ook in voetballend opzicht heeft hij een bepaalde hardheid die mij aanspreekt." De afgelopen tijd viel Pierie minder op, maar volgens Kwakman kwam dat ook door de positie (linksback) waar hij speelde. "Hij had vorig jaar een goede periode met Daniel Høegh centraal achterin. Maar hij is daarna een paar keer op linksback gezet en dat is op dit moment gewoon nog niet zijn positie." "Misschien kan hij zich daar nog in ontwikkelen, maar ik vind het een centrale verdediger en dat vindt hij zelf overigens ook", besluit Kwakman duidelijk. The hype around Kik Pierie seemed to have weakened a bit in recent months, but now that he is playing in the centre of the back line, the interest also returned. 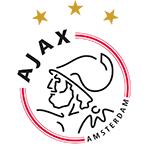 FOX Sports analysts Kenneth Perez and Kees Kwakman saw the 18-year-old youth international excel against Ajax. "Pierie is eighteen years old and is already busy putting directing other people in the field, which I think is good", Perez enthusiastically starts. "Eighteen years old It's easy to point people where to go, of course, but in football he has a certain toughness that appeals to me." In recent times, Pierie caught the eye less, but according to Kwakman that was also due to the position (left back) where he played. "He had a good time with Daniel Høegh in the back of the team last year, but he was left back several times and that simply just isnot his position at the moment." "Maybe he can still develop into that, but I think he's a central defender and that's by the way what he thinks himself too," Kwakman concludes. SC Heerenveen wil deze transferperiode nog graag een centrale verdediger en een extra aanvaller aantrekken, zo verklapte Hamstra. De Friezen nemen afscheid van Marco Rojas, Arber Zeneli en Dave Bulthuis en willen daar graag vervangers voor halen. "De situatie van de club is dat we eerst moesten verkopen, voordat we iets kunnen doen. En er gaat nu wel wat gebeuren", zijn de duidelijke woorden van Hamstra. "We willen vooral achterin extra opties." 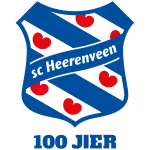 SC Heerenveen would like to attract a central defender and an additional attacker during this transfer period, Hamstra said. The Frisians say goodbye to Marco Rojas, Arber Zeneli and Dave Bulthuis and would like to get replacements. "The situation of the club is that we first have to sell, before we can do something, and something is going to happen", are the clear words of Hamstra. "We especially want extra options in the back." Feyenoord CD Botteghin injured his knee in the 6-2 demolishing of Ajax so seriously that he's out for at least 3 months. Given the Brasilian's age it's not likely he'll be a lock in first team player next season. So Feyenoord should go after Kik asap to prepare for the looming situation. Gsus, Dutch defenders are in demand. A guy at AZ who has played as little as 29 minutes in the Eredivisie in (hold your seats) 2016, february the 2nd and then was playing for Young AZ and loaned out to Go Ahead Eagles (which basically means sent away), is signing a contract for the rest of the season at.....PSG . Oh dear, PSG is raiding the Netherlands for defenders. Now they signed 18 year old Ajax talent Mitchel Bakker, who also has hardly any time of first team minutes in his legs, a total of about 90 minutes. Feyenoord must act asap for Kik, demmit. Pierie starts his 50th Eredivisie match today. He's the third-youngest player to reach 50 Eredivisie matches; the other two names are in the graphic. He's playing left CB in a 3-in-the-back formation for Heerenveen. 🌟 | Kik Pierie (18) speelt straks zijn vijftigste duel in de #Eredivisie en komt daarmee in een illuster rijtje met onder anderen @Brug17 terecht! edcrocker, freisland, Tom Collingsworth and 2 others repped this. My guess - and to be clear it is 100% a guess - is that Pierie feels he is in the Dutch mix well enough that he won't change horses now. Kik had over a dozen U17 caps, started 6 of the last 7 U19 games, and started all Oct 2018 U19 Qualies. Much as I'd love to see him with the USMNT I think all indications are he'll stick it out with the Orange unless circumstances change substantially. edcrocker, Zinkoff, ChuckMe92 and 1 other person repped this. He has another 4 years to ride it out into the Young Orange squad, before having to make up his mind for real if necesary. Things can change drastically if he signs for one of the top 3, which I expect to happen coming summer. edcrocker and ChuckMe92 repped this.